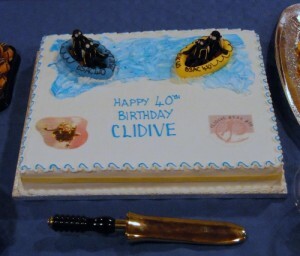 Clidive, established back in 1969, has over 40 years of experience. The name originates from a liaison with the Inner London Education Authority evening classes. It stood for the ‘Central London Institute’ and offered affordable diving opportunities to the central London community. 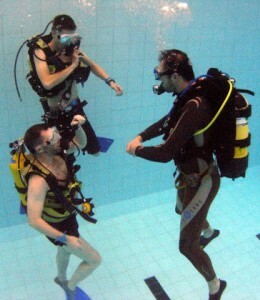 From 1969 – 1988 Clidive was a ‘special branch’ and carried out an extensive training programme – but it took rather longer to learn to dive in those days. There was an intake of up forty new members every September, but if you missed the starting date, you would have to wait a year to learn to dive! The first three months were spent snorkelling in the pool. The dive kit only came out in January. By the end of the following season the new member would hope to be signed up as a novice diver. 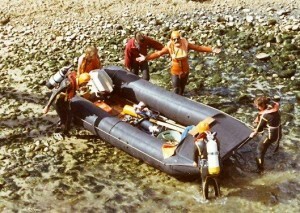 Since the early days, Clidive has always maintained at least one boat. Nowadays, we have two highly specified RHIBs, but originally members built their own inflatable boats and trailer. Our first boat was called The Black Pig. A trip to the wreck of the James Eagan Layne was considered adventurous for the experienced divers – now we take trainee divers there. 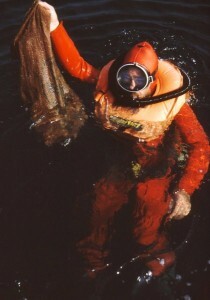 In the mid-1990s Clidive membership fell to a low of 33. A five year recovery plan, achieved in only three years, saw the branch increase in size to over 100 members with one of the largest training and diving programmes in the UK. This success story resulted in the club being awarded the Spotlight Award in 1998 and the Heinke Trophy in 1999. This is BSACs premier award, presented to the club judged to have done the most to further the interests of its members and of BSAC. Since then, Clidive have focused on keeping our club size stable, our finances robust and, most importantly, running an exceptional dive and training programme for our members. In 2009, in our fortieth year, we undertook several expeditions, including one to Shetland which was truly ground-breaking. That year we were presented with the Peter Small Jubilee Trust Award for the most worthwhile and ambitious BSAC Project conducted in British waters. In 2010 we were again awarded the Heinke Trophy plus a BSAC expeditionary grant. In 2010, Ironmonger Row Baths, our home for over 40 years, closed down for refurbishment. During this period we spent some time at St Georges Pool in Wapping and latterly at Marshall Street in Soho. In November 2012 we returned to the newly refurbished Ironmonger Row Baths and are proud to be based in one of the best pools in in the UK. Who needs a slipway to launch a boat!